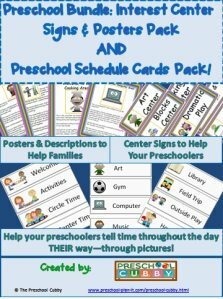 This Post Office Theme page is filled with preschool activities and ideas for all areas of your classroom. 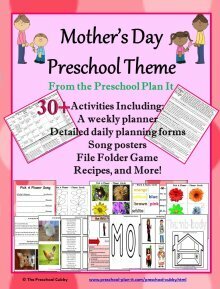 Valentines, writing letters to family and friends, community helpers---all can be accomodated with this theme! We typically have this theme going alongside our Valentines Day Theme. 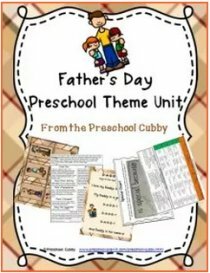 You can either scroll down through this page to see all of the preschool lesson plans and activities for this theme. The children brush glue on their paper and sprinkle different colors of glitter. When dry, they cut the papers into small shapes to use as stamps in your Writing Interest Center. Bubble Wrap Stamping Thank you Natalie, for this suggestion! Natalie used INK PADS with the bubble wrap and the children gently pressed the bubble wrap onto construction paper! If possible, take pictures of your local Post Office. Also, show pictures of them from magazines, posters, etc. Provide wooden unit blocks to build the post office. Provide toy trucks and cars (and mail trucks, too!). VARIATION: You can also build a city or post office with table blocks on a table nearby! Circle Time is such a great time for children to learn the social skills of being together as a large group AND to learn more about your Valentines Day Theme! Materials Needed: A piece of paper, a pen, an envelope and a stamp. Tell the children that they will be helping to write a letter...to them! Tell them that after you write the letter, you are going to give it to the post office and see how long it takes to get back to you! Hi ______________(name of your program)! We are writing a story about the Post Office! Once upon a time, we wrote a letter. The letter was a story about ________(ask one child to fill in the blank). Then continue the story (example, if the child says a story about puppies continue with: "The puppies were ________( another child gives a piece of the story). Continue until all the children have added to the story. End it by writing, "We are mailing this letter on ____________ (write in the date and day of the week). We will see how long it takes to come back to us! 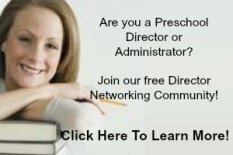 Show the children how you address the letter, where the name goes, etc. Place a stamp on it. Take a picture of the outside of the addressed and stamped envelope. Take a walk with the children to a local mailbox to mail it! Print out the picture of the envelope. When your letter is returned, make a big deal out of it! "We got a letter! Who do you think it is from?" See if they recognize the envelope! Open the letter and read it! They will love hearing their own story again! Place the envelope that it came in with the printed picture of the envelope that you sent it in on the floor. Ask the children what looks different? What did the post office need to do to get the letter to you? Snack Recipe Ideas to Cook Up for Your Post Office Theme! I have my students spread icing onto graham crackers (envelope). We then use an icing pen to write the address on and use a piece of candy in the upper, right corner as the stamp! The Post Office uniforms officially are blue...how many shades of blue can your preschoolers make? Post Office Theme Large Group Games to Help Your Preschoolers' Build Their Muscles While Having Fun Together! Materials Needed: Large Box, smaller boxes (at least one for each child), envelopes, 2 bins for the envelopes. Place the large box on the other side of the room. Place a smaller bin next to the large box and place lots of envelopes in the bin. Place all the small boxes on the side of the room you are in with the children. Each child must take one small box, run to the large box and place their box in the box. They take one letter out of the bin and bring it back to you. Have the other children cheer on and support each child as they go! This is a focus on following directions: put a box in and take an envelope out! A Tisket, A Tasket Thank you to Robin from Cranbury, NJ for submitting this activity! Have children sit in a circle. One child goes around the back of the children skipping with a basket with a green and yellow ribbon on it; Singing, "A tisket, a tasket a green and yellow basket. I wrote a letter to my friend and on the way, I dropped it." In the basket is an envelope with the word "LETTER", written on it. and the child puts the basket behind the next child to skip around. Post Office Theme Activities to Help Your Preschoolers Develop Thier Math Skills and the Small Muscles in their Hands! Materials Needed: variety of junk mail (donated by you, other teachers and families) including letters, advertisements, magazines, etc; several shoe boxes. Place the junk mail on the table in a large bin. The children sort the mail into the shoe boxes by attributes: large, small; letters, magazines; by color, etc. VARIATION: Cut the stamps off of all the junk mail and have the children sort the cancelled stamps by attributes. Provide a bowl of pennies. The children line up the corresponding number of pennies next to each envelope. EXTENSION: Provide a box of coins, all different, and several bowls and let the children sort them by attribute. Post Office Theme Music and Movement Activities and Ideas to get your Preschoolers Movin' and Groovin'! and lots of letters, too! And maybe they'll write back soon! Here comes the letter carrier dressed in gray. Delivering the mail each and every day. If there's a letter in the mailbox for me! Post Office Activities for Your Sand and Water Table! Slippery Bubbles! Thank you to Tammie of Seaford, DE for this great activity! Place a sheet of bubble wrap in your sensory table and cover with shaving cream. The children will enjoy the slippery, bumpy feeling. You will want to have a clean bucket of water nearby for washing hands. Packing Peanuts--Sensory AND Math, all in one! Thank you to Katelyn from Shippensburg, PA for this idea! Fill your sensory table with packing peanuts or foam. The kids love the feel of the foam. For added fun use various colors or sizes of packing peanuts and encourage the kids to sort them by attribute. Post Office Theme Science Activities--for your Preschool Scientists in Training! Materials Needed: glue sticks, bottles of white school glue (each with just a little glue in them! ), gel glue, other types of glue; plastic knife, magnifying glasses, small plates/dishes. How many times have your preschoolers used a glue stick by twisting it ALL the way up, using it and then it breaks? Like any other material, the more opportunities the children have to explore an item, the better they become with using it! Go through your glue sticks and choose the ones that are almost used up and a few new ones. Provide 1 glue stick, a bottle of partially filled glue and some plates/dishes. Let the children twist them up,down, off! ; cut them, squish them, etc. There are many types of glue that can be used to seal letters and stamps! Let your little scientists explore them! 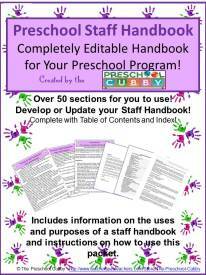 Writing Activity Ideas for Your Preschool Classroom's Post Office Theme! 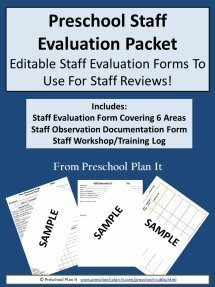 Materials needed: blank index cards, colored pencils or markers, alphabet flashcards, envelopes, sentence strips or index cards with each child's name printed on it (and a picture of each child). The children write as many of the letters as they can on index cards. The flashcards are there for them to copy if needed. They place them in envelopes and then print their friend's name on the envelope by copying the letters on the name cards. EXTENSION: Have letters of the alphabet printed on cards very lightly with pencil. The children can then trace over it to practice letter formation. Visit the Post Office-- call ahead to see if there is some type of tour or if the supervisor can talk to the children for a bit about what they do. Take a neighborhood walk and check out mailboxes at peoples' homes: some are on porches, some on the sidewalk! Invite your local mailperson to come in to say hi and chat with the children. Have some letters all ready and stamped for him/her to take with them! Ask if the children can see their mailtruck if they have one! Invite someone from a local mail store (such as mailboxes etc., UPS, etc.) to come in and talk with the kids. When you call them, tell them they can leave advertisements with you that you will send home to the families (free advertising for them!). Thank you Darlene from Grafton, WV for the following idea! Since it would be difficult to take the students around our preschool neighborhood to look at mailboxes or visit the post office, I came up with this idea. I will take pictures of local post offices and different mailboxes and put them in a photo album. The children will make mailboxes and a class post office that I will also take pictures of and add to the album.